Wind River Country attracts racers and athletes of all types. LANDER—Wyoming’s Wind River Country is widely recognized for its outdoor recreation opportunities. People travel from around the world to rock climb, backpack, mountain bike, fish, and more. Dogs also travel to Lander to recreate and, this week, to race. Tuesday, Jan. 29, a pack of dog packs will arrive in Lander for the fifth stage of the Wyoming Stage Stop Race. Each team will be competing in the seven-stage race around the state, but they also make some time to socialize. Teams will spend the evening on Lander’s Main Street, and a film about the race will show in the Lander Bake Shop, all starting at 5:30 p.m. The next morning, Wednesday, Jan. 30, the teams will get back to the outdoor recreation, racing a 35-mile leg from Bruce’s Parking Lot in Sinks Canyon. 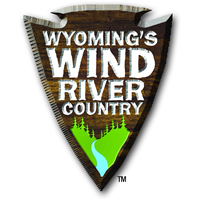 Spectators are welcome to watch them take off and finish (earliest expected around 11 a.m.) and take in the beauty and outdoor recreation opportunities of Wyoming’s Wind River Country. Learn more about the race at wyomingstagestop.org.